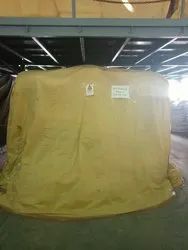 We are a leading Service Provider of export fumigation services, export container fumigation services, fumigation services, commodity fumigation, force hot air treatment and ht treatment for wooden pallet from Aurangabad, India. Backed by a modern infrastructural setup, we are presenting the best quality approved an array of Export Fumigation Services in the market. Experienced professionals review this work on various quality parameters in order to provide defect free service. Esteemed as a reliable service provider, we offer the best quality of Export Container Fumigation Services.The offered fumigation services are valued for their execution within the promised time frame. Total quality management followed at each stage of rendering the offered fumigation services, ensures that its quality is always maintained. We offer the premium Fumigation Services. Rendered by us at cost effective prices, the offered fumigation services are known for their execution within the assured time frame. We provide Force Hot air treatment service to export wooden pallet as per ISPM 15 standards.